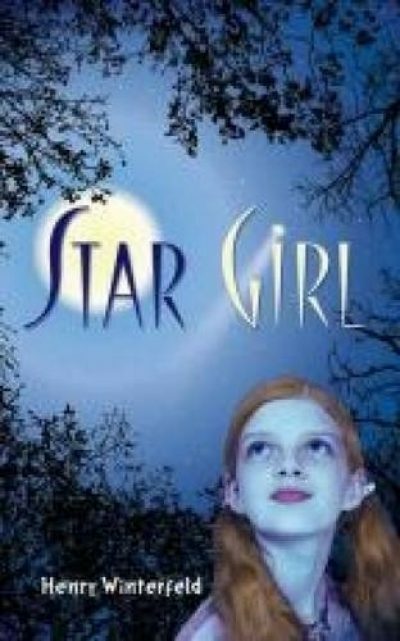 Star Girl is the title given to the English-language translation of Henry Winterfeld’s 1956 novel, the children’s science fantasy Kommt ein Mädchen geflogen. While wandering in the woods, Otto, Walker, Gretel, and little Lottie encounter a stranger, a well-dressed blonde girl with an enormous bruise on her forehead. The girl, whose name is Mo, explains that she got the bruise when she climbed down out of a tree. How did she end up at the top of a tree in the first place? She fell out of her father’s damaged spaceship. Mo and her father hail from distant Asra, a highly advanced world whose people look very much like terrestrial humans. Asra has long been aware of Earth, although routine contact is impractical at the moment. Mo’s father has a particular interest in our world; it’s a hobby he has cultivated for centuries. When an opportunity to visit Earth appeared, he invited his daughter along. One mishap later and Mo was marooned on Earth. Mo’s father will return for her — but not immediately. He needs to repair his ship. For the next day, at least, Mo is stuck on an unfamiliar planet. Luckily for her, the four children take her story at face value — her ignorance of common-place Earth phenomena like food or animals lends veracity to her tale — and offer her their protection for the duration of her visit. There are strict limits to the resources commended by the four children. Some of them come from poor families. While the children believe Mo, their parents are more skeptical. Perhaps Mo is no alien. Perhaps the reason she does not look like the inhabitant of another world is because she isn’t one. Perhaps she’s just a little mad. The adults mean well, but if they have their way, Mo will miss her chance to meet her father before he must return to Asra. If she misses the rendezvous, she will be stuck on Earth for at least a half a century, perhaps forever. It is up to Otto, Walter, Gretel, and Lottie to make sure Mo is returned to her father. Mo’s people live much longer than humans. She is eighty seven and her father is much older. Being trapped on Earth for half a century is not effectively a life sentence; it’s merely an inconvenience. Well, it’s not a life sentence unless something kills her while she is waiting for her ride. She is protected by some sort of super-science thingie, but presumably it has limits (like, it cannot fully protect her against falling out of trees). The author isn’t concerned about scientific plausibility. But I am. I found myself trying to save the plot by concocting an explanation for the fact that humans happen to closely resemble Asrans (or vice versa). Perhaps Asrans seeded the Earth and check up on their experiment occasionally. Or perhaps, as in another children’s book (whose title and author elude me, although it might have been published by Scholastic. ), her appearance is an illusion, put on so that the humans will see her as human. As for the vice-versa; the thingie that creates the illusion makes her see humans as Asran. But its probably just the demands of the plot. The protagonist has to blend in without provoking comment, if she’s to be a plausible nutter or scammer to the parents. This book could have taken a hard left turn. Mo could have been mad or scamming; the childrens’ efforts to save her (and their inadvertent sacrifice of their precious shoes) could have been for nothing. I am just as happy that it there were no left turns. This is a perfectly amiable book suitable for younger readers, with an unexceptional moral re helping strangers even at great inconvenience to oneself. Star Girl is available here (Amazon) and here (Chapters-Indigo). Doctor Who has recently been meeting lots of people who look human and aren't, including himself. Usually a so-called "perception filter" is involved, or some critters have learned to kill humans and wear the skin convincingly. His own unreliable narrator, he claims that it's not that his people look like us but the other way around, and when he has a northern English accent, it's because his own planet also has a north region. Star Trek has aliens disguised as humans since "The Man Trap"; "Future Imperfect" comes to mind as when this wasn't an enemy. The Doctor has a point when he observes that lots of races across the galaxy look Galifreyan. There's no reason to think that's coincidental. Concepts like 'cause and effect' and 'plausibility' dissolve like wet tissue paper when they encounter nigh-godlike time travelers who are known to meddle and get bored easily.